Excellent two-way land that is currently being used for pasture, hay and grain land. 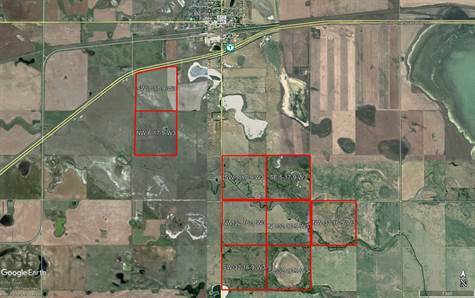 This package is fenced and ready for 2019 for livestock or can be converted to grainland. Has the potential to be converted to organic farmland. The Seller has requested a reassessment by SAMA for the SW 5, NW 32, NE 32, & NW 33 due to improvements made to the creek, which dramatically improved the productive capacity of these quarters. Property can be sold in individual parcels.